Jack the Ripper is the latest expansion for the Ubisoft’s Assassin's Creed: Syndicate. 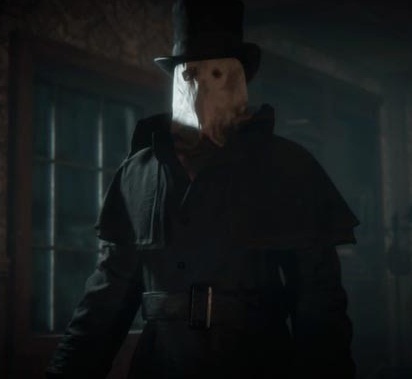 The new DLC brings the story of the fearsome villain Jack the Ripper, who haunted the streets of London during the Victorian Age - period where Syndicate occurs. Evie in control of a much older, players need to stop the killer, and race against time to save Jacob. During the plot, there are loopholes for small twists without losing the tension surrounding the murders and the mystery around who is Jack. This raises another novelty: Research parties. There are many times when you have to find clues and decipher messages left by the killer. Once the DLC begins, players are surprised to assume the killer's control. You control Jack in the streets of London, where we need to be violent and spread fear. Take on the role of villain also makes you begin to adapt to the new commands that expansion brings. The main one is to apply fear in his opponents. Both Jack and Evie possess such skills, leaving their bewildered opponents in combat. With Evie, you must use devices that simulate a huge explosion. Now Jack, you need to act like the villain. Here, you have to be violent and ruthless to your opponents. The new mechanics strip the old impression that expansions is "more of the same." The expansion does not limit only in its characters. There are a number of new items that are unique to DLC. In addition to a variety of clothing for Evie, there are also new weapons and equipment that can be purchased with cash and the evolving new skills. On the skills they have changed and are now facing the fear. Thus, Evie can develop bombs that cause panic. There are also new side quests in the game. Now Evie must save handlers prostitutes and murderers, stop messengers who intend to disclose letters of Jack and even close areas of clandestine fights. Assassin's Creed: Syndicate - Jack the Ripper is one of the best recently released expansions. With several new features, side quests and more than amazing storyline, the DLC becomes a must for fans of the franchise and for lovers of suspense and research games.